Fishing weeks start from £2,736, excl VAT, self-catering, including fishing for two rods on the Helmsdale and the use of a gillie; stags £360-£400, excl VAT. Finding fishing on the Helmsdale can be like finding gold. Luckily, if you stay at Suisgill you can fish the river and pan for gold.Be advised, however, that the real gold is to be found at the end of a rod. 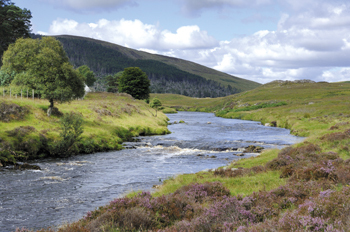 The estate owns a sixth of the fishing on the Helmsdale, and stalking is available on the estate. The team is working hard to reintroduce grouse. Sutherland has a distinctive pull for those who love the Highland experience in its purest form.